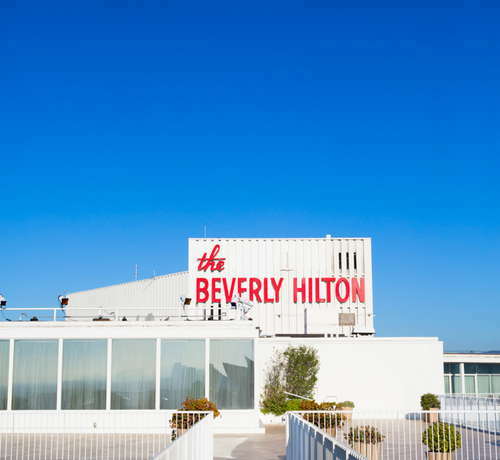 The Beverly Hilton is one of the most iconic and historic hotels in Los Angeles and continues its legacy with over 150 red carpet events every year, including the Golden Globes and Grammy Awards. This enormous property sits on the corner of Santa Monica Boulevard and Wilshire Boulevard and acts as the gateway to Beverly Hills both literally and figuratively. There are more than 500 rooms they obviously vary in size, price, and location. 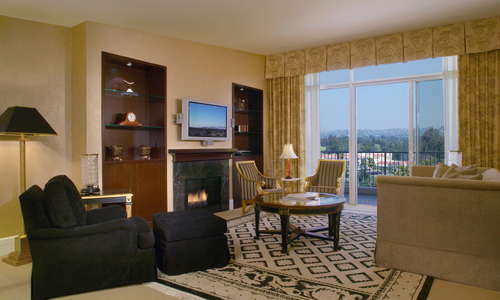 Penthouse suites offer the best views. Pool cabana rooms are the most social. 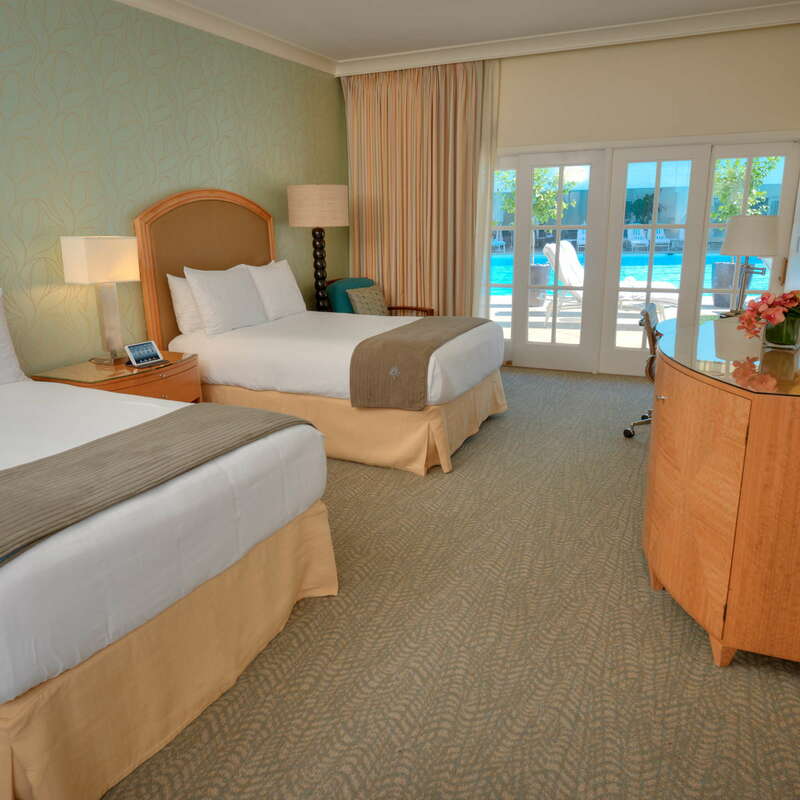 And the Oasis Tower rooms are the most peaceful and historic. 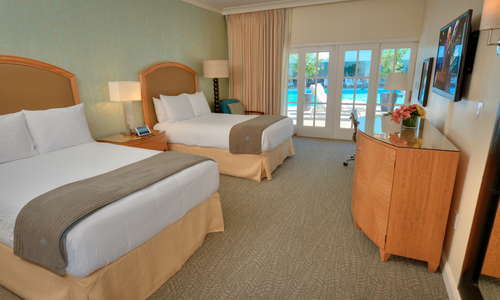 Many of the rooms come with balcony views of the city or pool and the cabana rooms have poolside patios. YOU SHOULD KNOW Wi-Fi is free for Hilton Honor’s Program members. Signing up is free, so take advantage before they charge you for internet access. 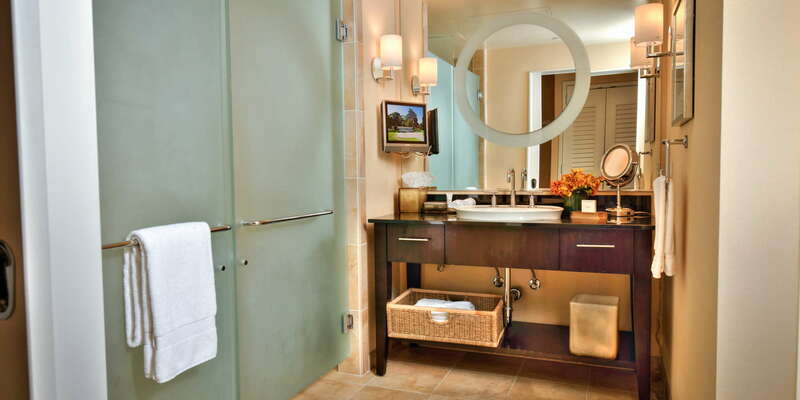 The Hilton uses L’Occitane products and the bathrooms are affixed with TVs for morning news watchers. 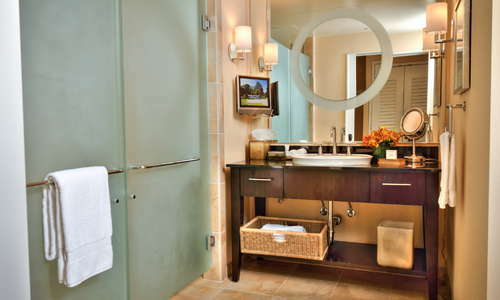 Many of the suites feature spa baths. The lobby has the feel of an airport terminal in its size, scope, and sheer abundance of people everywhere at all hours of the day. 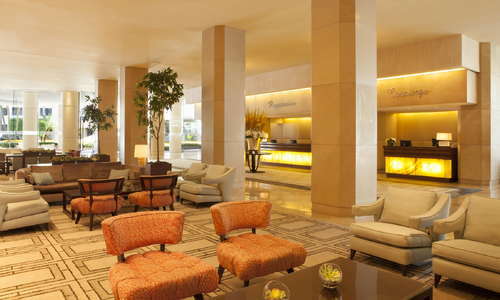 There is ample retail space with salons and boutiques and the lobby lounge serves specialty drinks and Starbucks coffee. Just don’t forget to check out the 1,400-gallon saltwater aquarium or the famous Merv Griffin birds. 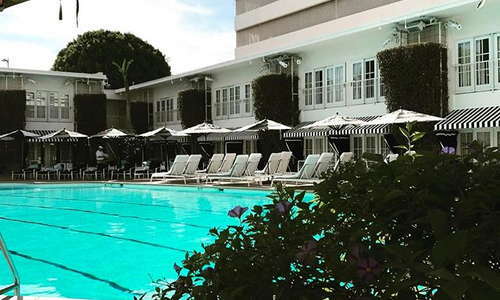 The Aqua Star Pool is the largest heated pool in Beverly Hills and the iconic heart of the hotel. Lounge chairs and rentable day beds circle the space, as does outdoor seating for CIRCA 55. 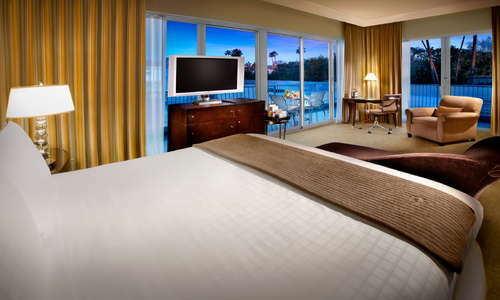 At night, the hotel is known to screen movies on the giant white wall across from the cabana rooms. The Aqua Star Babor Beauty Spa has seven treatment rooms and is well-known for its Red Carpet Ready Facials. The spa also offers anti-aging facials, collagen boosting, ant-cellulite wraps, and more (everything a Beverly Hills stereotype could ask for). But seriously--the spa is incredible. Open 24-hours, the fitness center is equipped with PRECOR machines, free weights, and other gym things. Personal trainers are available upon request. 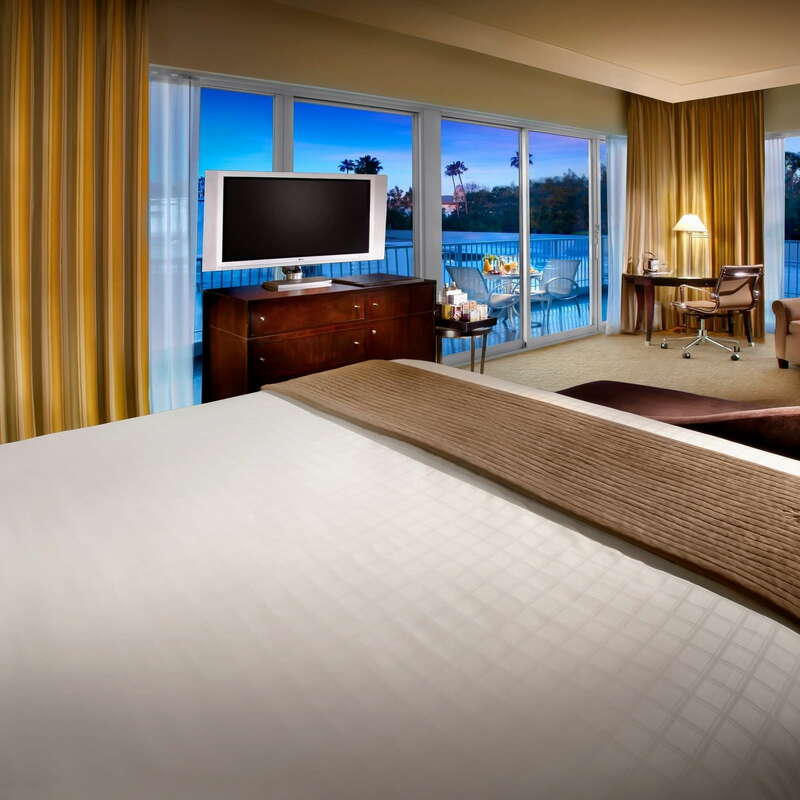 CIRCA 55 is the hotel’s signature restaurant serving Cali-cuisine for breakfast, lunch, and dinner. Diners can take their meals outside by the pool or inside on occasional rainy days. Legendary long-time waterhole Trader Vic's is no longer open. In its place is CIRCA 55 Lounge, which dishes out signature sips. The Lobby Lounge is a bustling spot with a stellar happy hour for inexpensive apps and cocktails between 5 and 7pm. 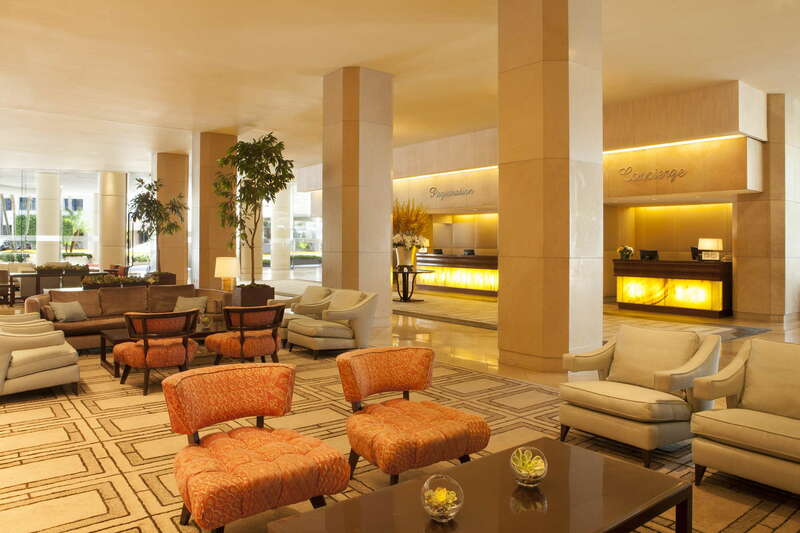 Positioned at the entrance to the retail area of Beverly Hills puts this hotel in a perfect spot for walking. 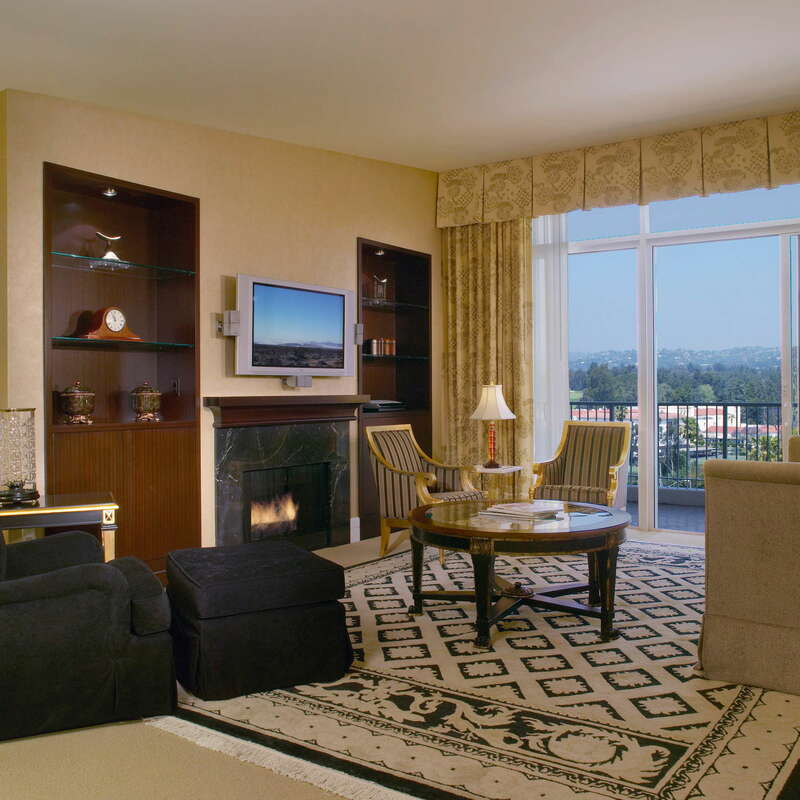 You’re no more than 5 to 10 minutes from all the incredible food and shopping that Beverly Hills has to offer. If you want to travel a little farther, the hotel has a complimentary car that can take you within a one-mile radius. Otherwise, hail a cab (easy here) or rent a car to get around town. There’s no metro access in Beverly Hills. Da Pasquale (6-minute walk) is a small Italian joint for all your pizza and pasta cravings. Crustacean is one of the highest-rated Vietnamese restaurants in town with to-die-for seafood. The Club Bar at the Peninsula Hotel (5-minute walk) is home to rare wine and whiskeys and even rarer A-list celebrity sightings. £10 (6-minute drive) is a hidden speakeasy inside the Montage Hotel, also great for whiskey lovers--ask the concierge to get you a reservation, otherwise it can be hard to get in. While its massive size can make the hotel feel a bit impersonal, the history, iconography, and amenities outweigh the lack of intimate touches. 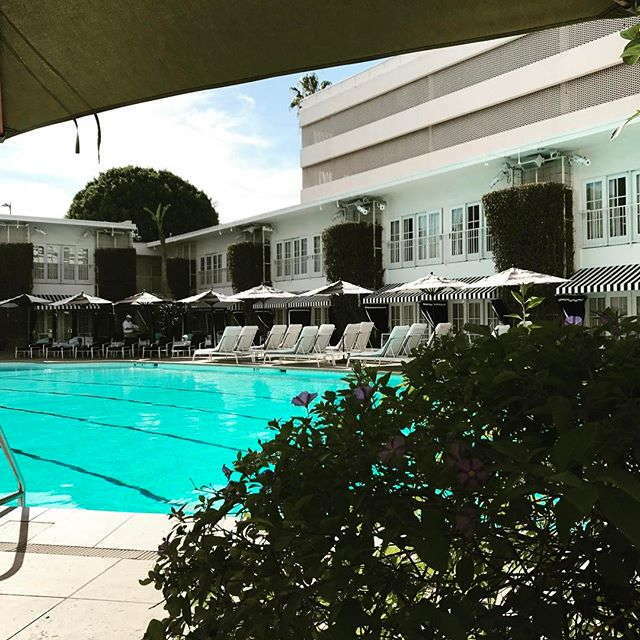 The pool is a sight to be seen and with a never-ending cavalcade of events, the celebrities are sights-to-be-seen, too. 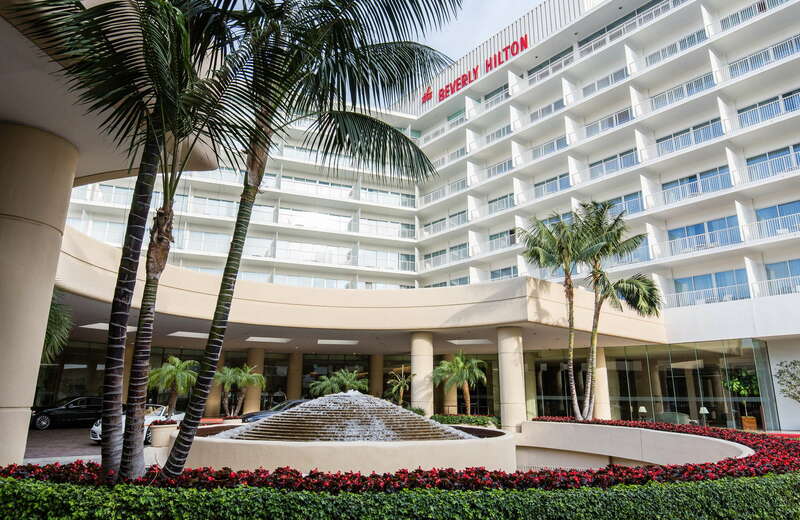 Beverly Hills business types, summer vacationing families, and large groups coming for events are the mainstays of the hotel--there is more than 60,000 square feet of event space, after all. But despite its size, the hotel maintains a top level of service, a wide range of accommodations, and a bustling energy that can only be found in a space with non-stop activities and events.